Jones signed a future/reserve contract with the Steelers on Monday according to the NFL's transaction report. 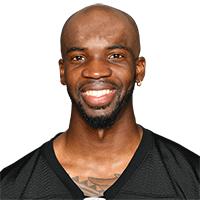 Analysis: Jones spent the season on the Steelers' practice squad after the wideout failed to make the 53-man roster. He'll now get an offseason to continue to grow in Pittsburgh's system. Jones was waived by the Steelers on Saturday. Analysis: Jones went unclaimed on waivers and was signed to the Steelers' practice squad. The team kept seven wide receivers on their 53-man roster. There are no videos available for Tevin Jones. Click here to view all videos.